Greetings all. I can't tell you how excited I am to have our new forum up and running. This is going to be a fun place that we can chat about collections, upcoming release, or just whatever we want. I'll remind you all that we will still keep the trading on the CTP and Marvel Universe sites on Facebook. So, go ahead and look around and start up a discussion somewhere! Woot! first post!! Thanks for getting a site together guys!! Hey Guys and Gals, I will be posting soon in the diecast section, If you have any questions, hit me up. I hope this takes off well like the FB page did. Mike! The site looks great bro! Very excited as CTP keeps moving forward! Looks like we have 5 members total. Hopefully we'll have a few more by next weekend. I would love to see these discussion boards lit up with all sorts of topics! hey guys, great looking page. I'm Ronnie Chowder on the FB page, just saying hi, and checking things out. Hey Ronnie, welcome to the forum! Hopefully you cruise around and make a few posts...we have a variety of places to visit! Your Favorite Uncle is in the house! Hey guys...Jason Quaregna here, but on websites i usually go by JayCue...Thanks again for allowing my into this community...i have made some really great trades and sales and have had some great conversations about toys and comics...any comic questions toss them my way and i'll be happy to help! Hey fellas! How's it going? Been a pleasure meeting everyone through CTP. 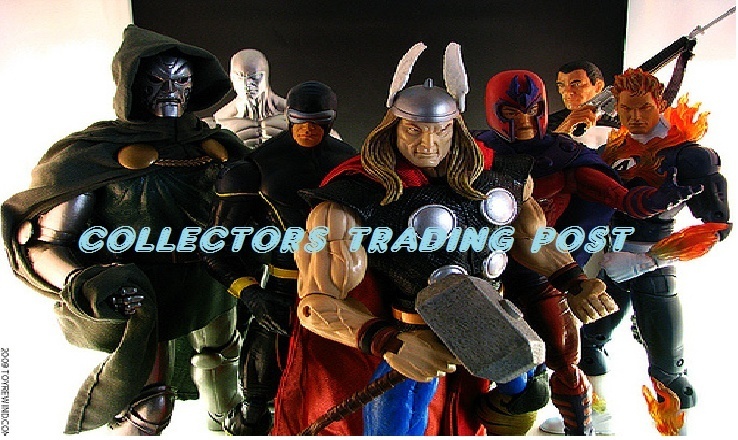 Joey has been a big influence on how I see trading figures now and helping other fellow collectors. It really does bring a bit of a smile when you help a fellow collector out. Hope this forum grows and we can all help each other out.